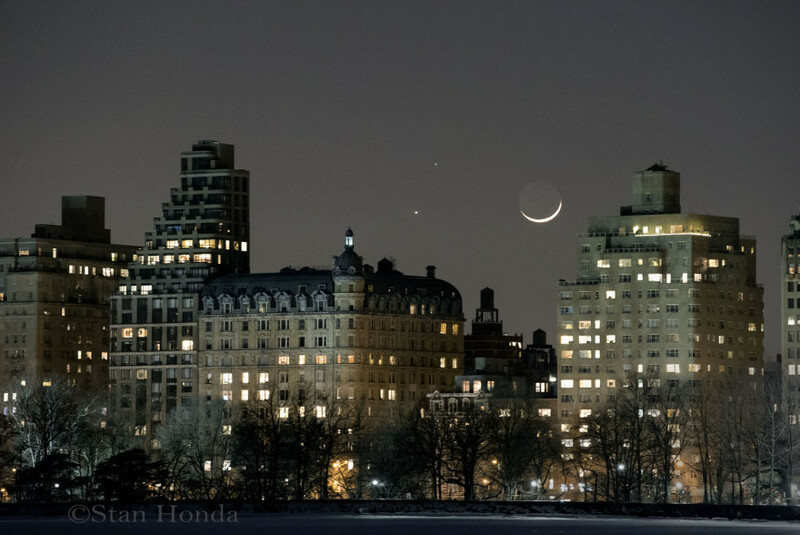 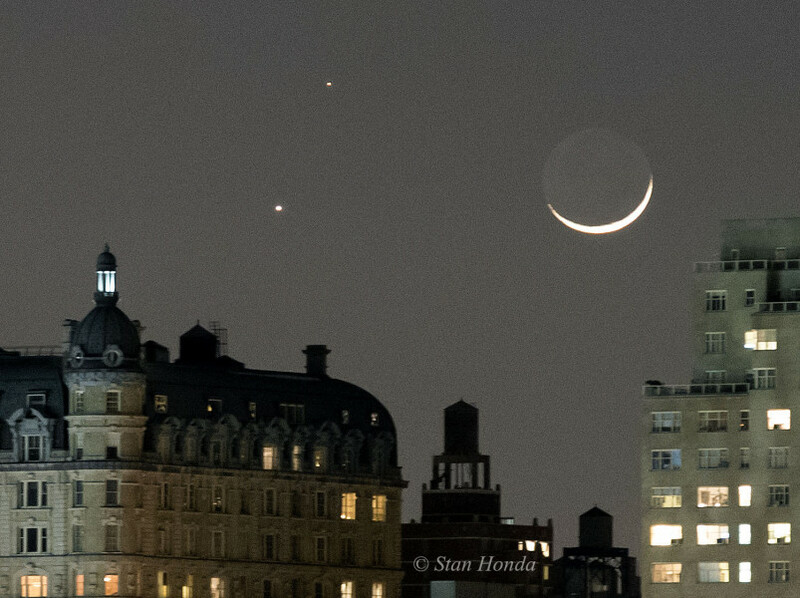 Looking to the west on the evening of Feb. 20 was the beautiful sight of Venus, Mars and the moon, tightly grouped as they sank towards the horizon. 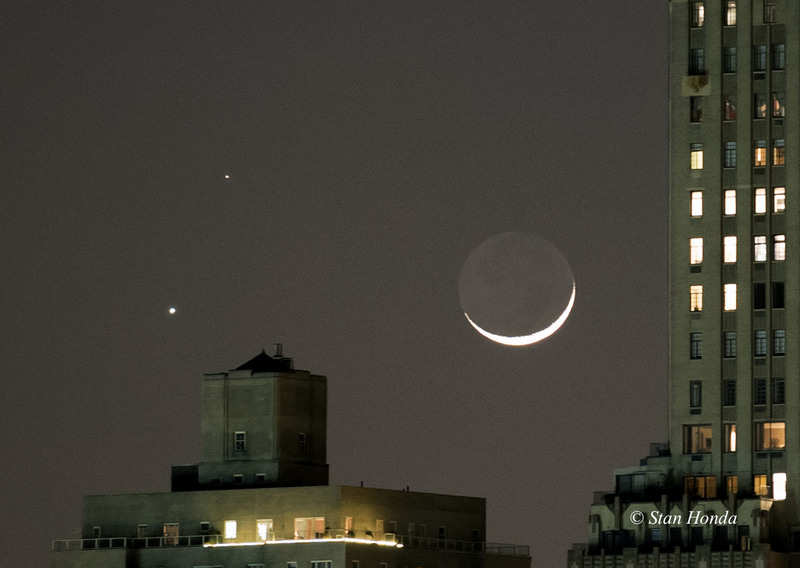 The two-day old crescent moon provided a nice counterpoint to the bright Venus and reddish Mars. 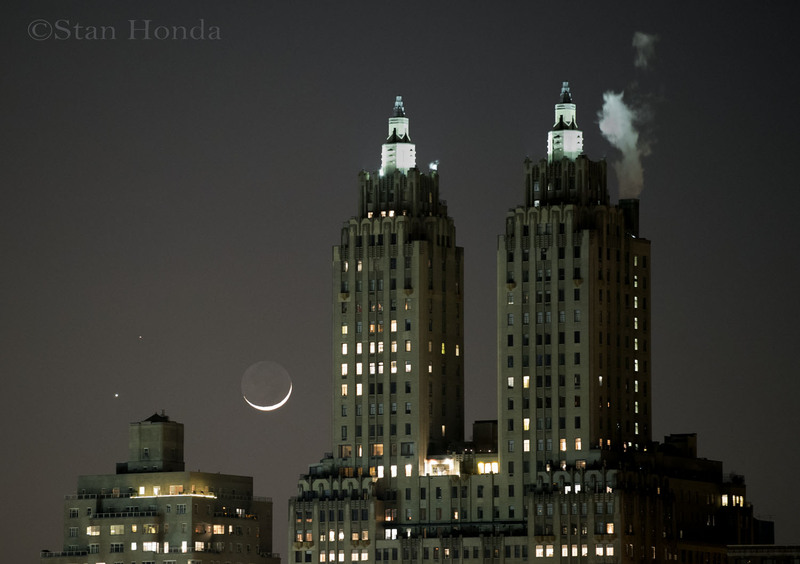 This view from Central Park looks over to apartments on the west side of Manhattan on a frigid night.